Hello there, this Sunday Sevens has come around quickly. 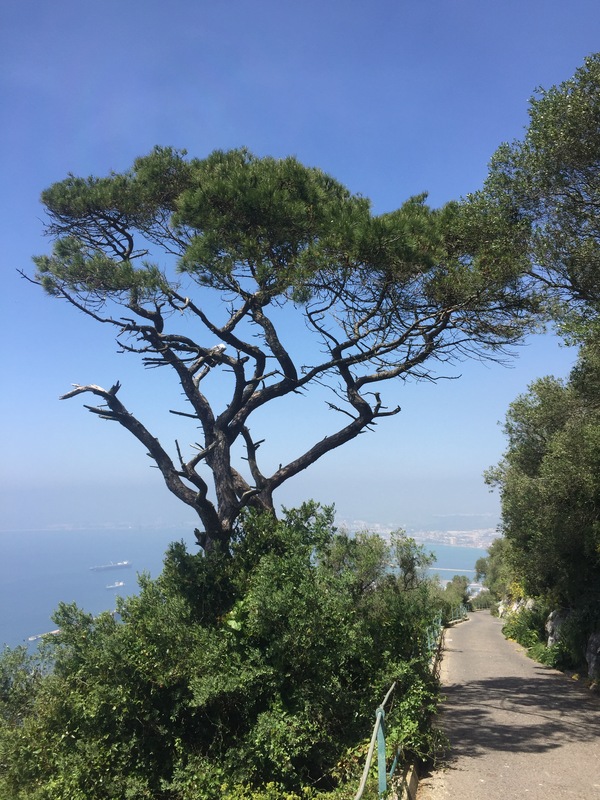 I have had a quiet week in Postcard terms with no midweek posts, I figured that after four posts last week, you wouldn’t miss me too much! Schools started back here on Tuesday after just over a week off for Easter, so it’s been a bit more like normal again. We’ve had a vey mixed bag here weather wise with warm sunny days to begin with and gale force winds to end the week! 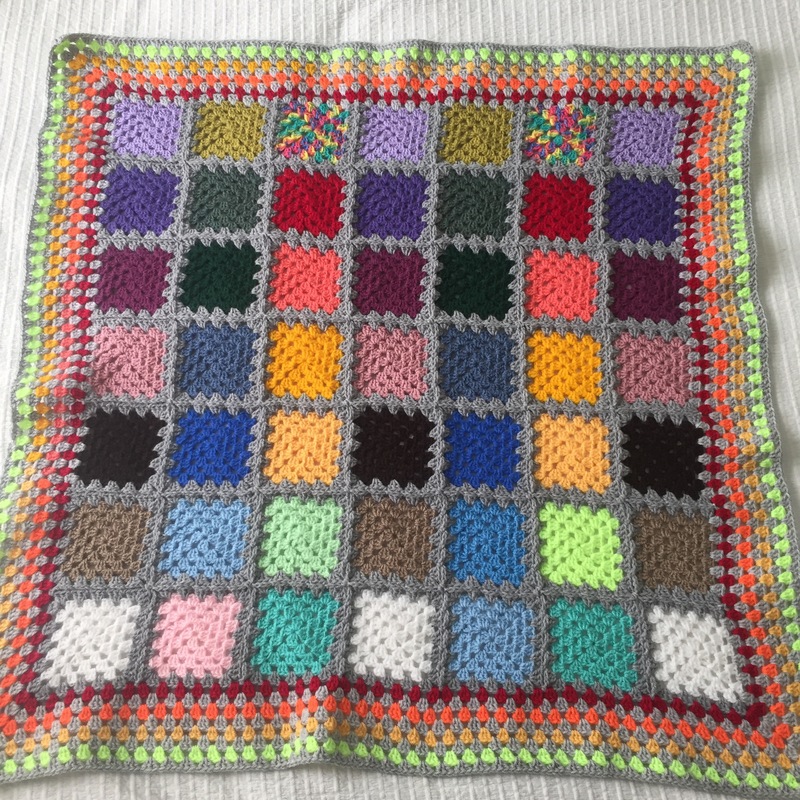 So, finally on Easter Monday, I completed my Lent square Sixty Million Trebles blanket. The blanket will go to help Syrian refugees. 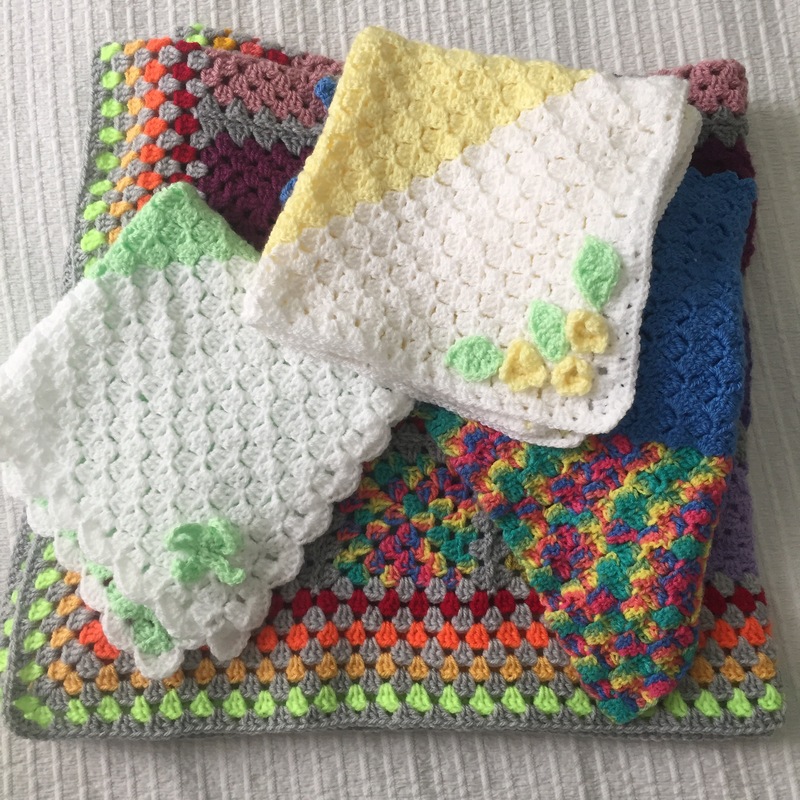 Also this Lent I have managed to make a couple of baby blankets for Cherished Gowns, who support bereaved parents and I’m part way through another Sixty Million Trebles blanket too – this one is being worked corner to corner. I’m pretty pleased with what I’ve managed to make. In the corner where the phone and internet router live there’s a rats nest of wires, which although it annoys me, I hadn’t found a solution to. That was until Diamond chewed through the phone cable!!! I saw him go for it and in the time it took me to get off the sofa and walk less than a metre, the deed was done. The wire has been replaced, and the incident was incentive enough for me to sort the wires out. 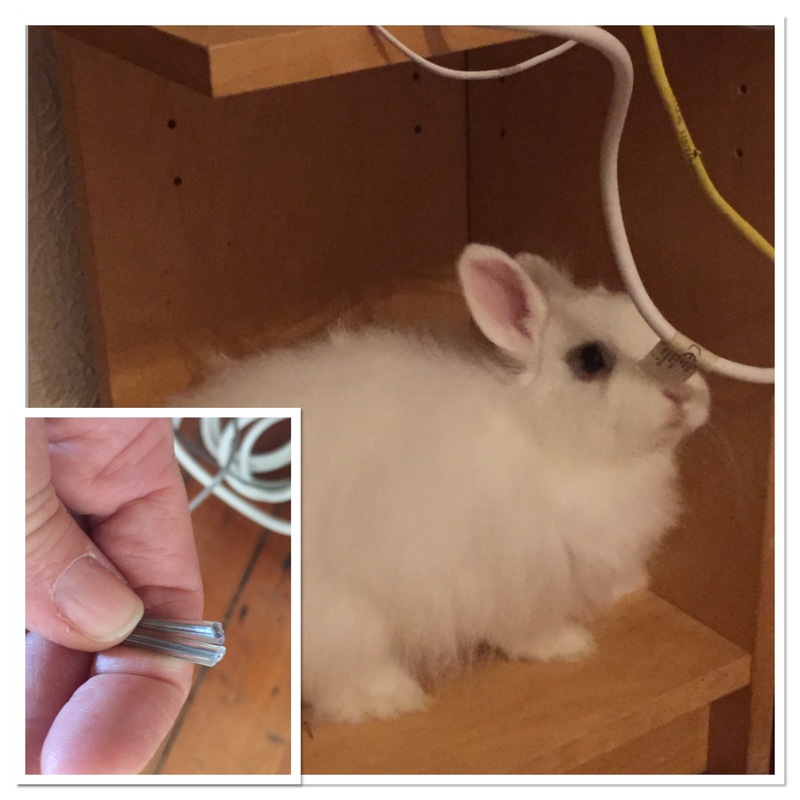 Some electrical conduit, a hacksaw and drill later and the wires are rabbit proof! Diamond was none the worse for his evening snack. 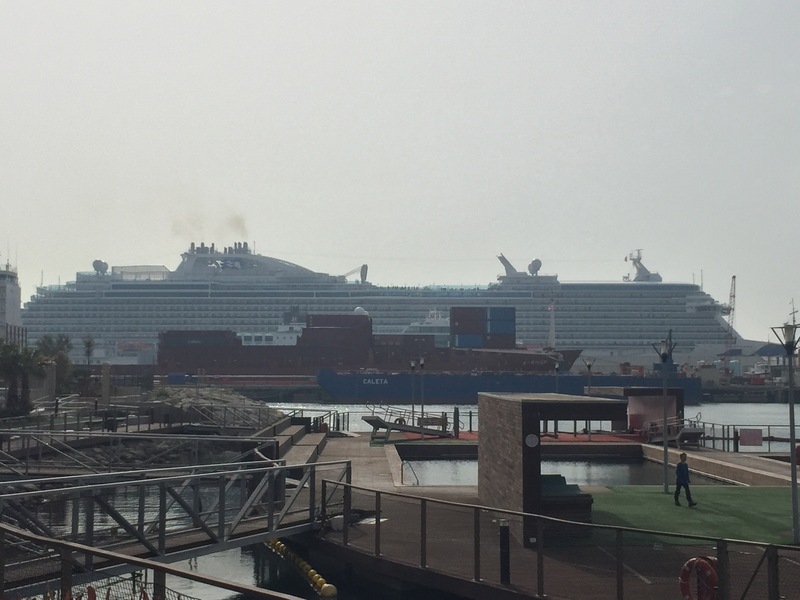 Now Easter has passed, cruise ship season is well and truly upon us. 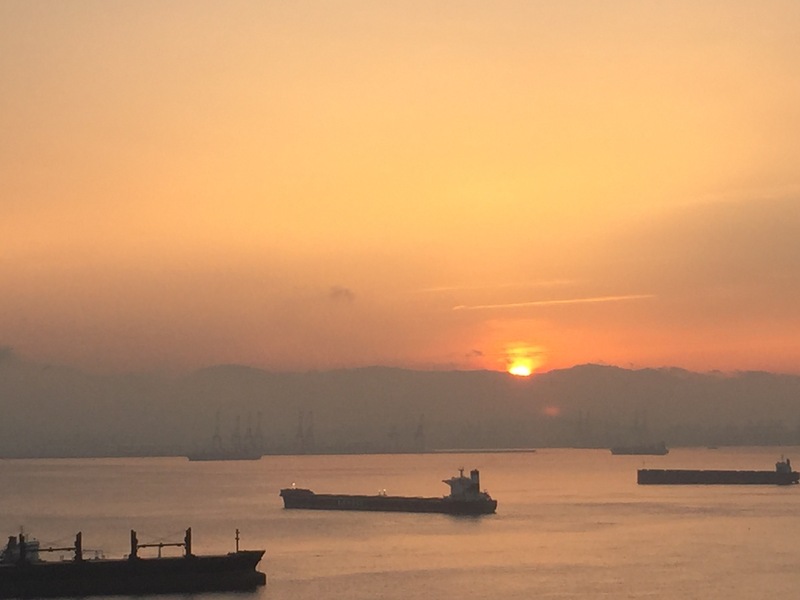 There have been several large ships in this week and the difference it makes when you are in town is quite dramatic. 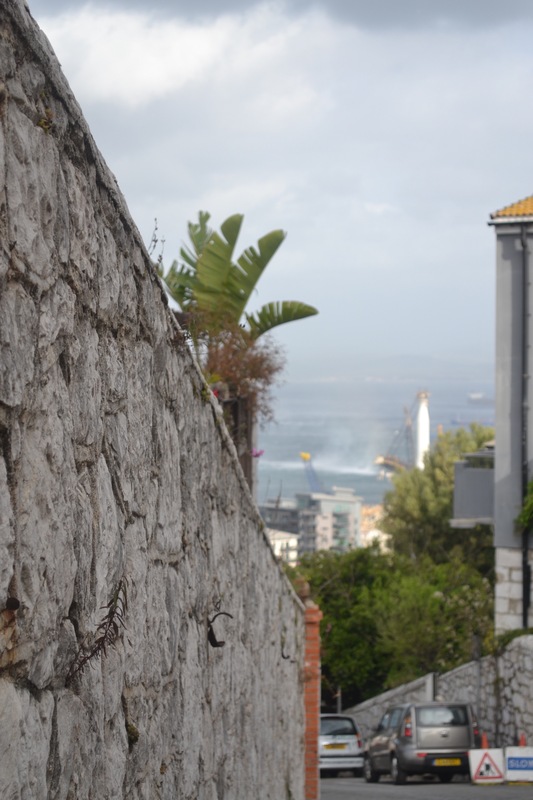 It’s great for Gibraltar’s economy, but it can make negotiating Main Street quite a slow affair! I was so determined throughout Lent to only crochet things for other people (gifts, Sixty Million Trebles and Cherished Gowns baby blankets) that I abstained from looking at all other things crochet. My monthly subscription from Little Box of Crochet remained unopened, as I knew I would be desperate to make a start on it straight away. 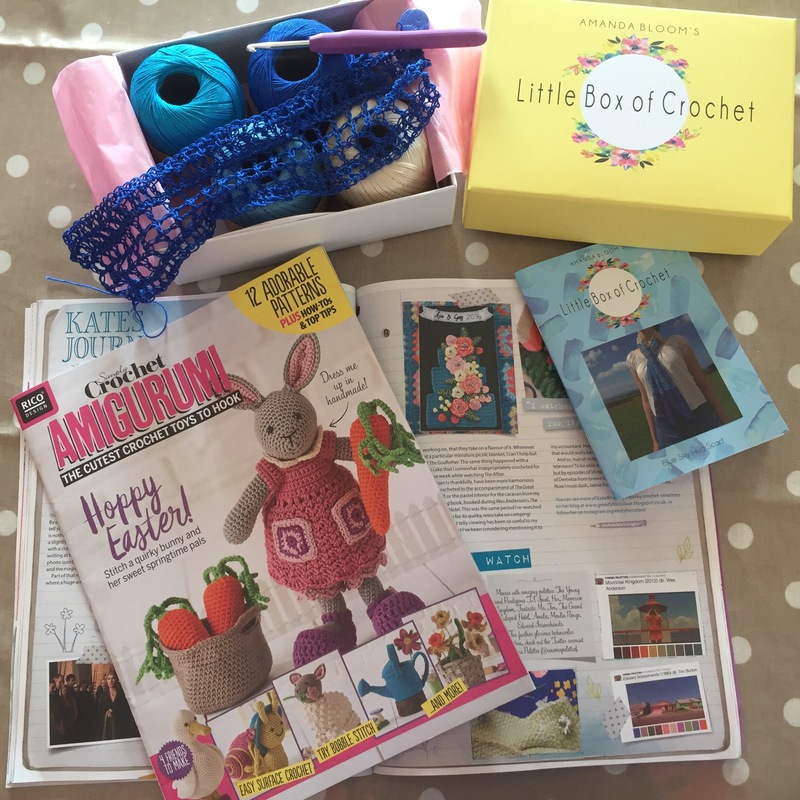 On Tuesday I had the time to start my blue sky hug scarf from Little Box of Crochet, and on Thursday my monthly Simply Crochet magazine subscription appeared in my post box – oh how I enjoyed immersing myself in both! A more tame walk was undertaken instead. Just look at the wind whipping up the water out in the Bay! Apologies for the blurred focus – I didn’t realise that I’d focused onto the wall – doh (slaps forehead) another photography fail this week! The stormy weather continued into Friday too. The Upper Rock was closed for safety due to high winds and we had literally hours of thunder rumbling from mid afternoon and into the evening. The first dramatic boom came just as I was heading out on the school run so I had to dash back in to pick up raincoats for us all. Thankfully the shower was light so we didn’t get soaked! That’s all for this week, not the most inspiring edition of Sunday Sevens I’m afraid, let’s hope next week brings more good photo opportunities! 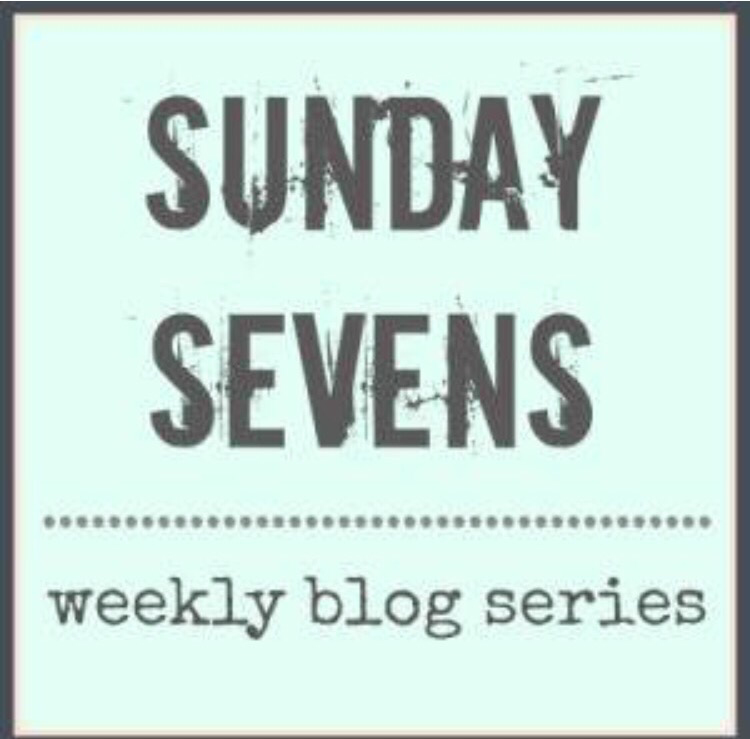 Sunday Sevens is a weekly blog series created by Natalie from Threads & Bobbins blog. It features seven (or maybe more) photos from the past seven days. Sounds quite a dramatic week to me. I really like your blankets. Especially the little white ones.